Thanks to Cafe’s fan for this article! 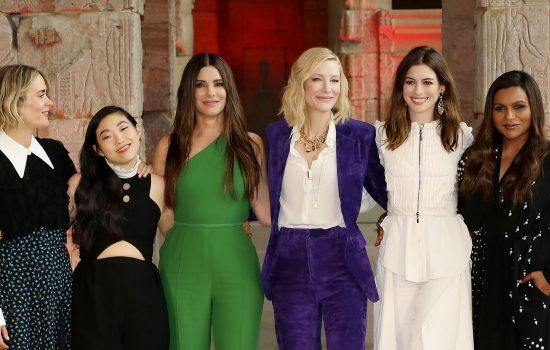 EXCLUSIVE We told you last week that Cate Blanchett had joined Gary Ross’s all female Ocean’s 11 heist movie with Sandra Bullock, Elizabeth Banks, Helena Bonham Carter and Mindy Kaling. But Blanchett told me last night at the Women in Film Crystal & Lucy Awards that it’s not a done deal. Blanchett was at the Beverly Hilton to honor the amazing Hylda Queally, her agent of 19 years, with the Sue Mengers Award. 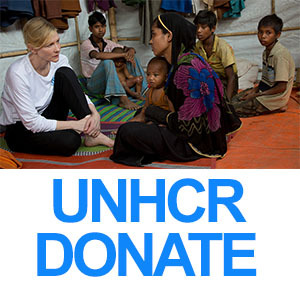 In giving the award, Blanchett said to Queally, “ I would be an unformed piece of amoebic jelly without you.” Cate never ceases to be classy, when actor/producer Kat Kramer introduced Cate to deaf actress Antoinette Abbamonte, who told Cate through sign language that she loved her work, Cate signed back thank you.